hat’s the Best Way to Build New Highways: Private? Public? Tolls? Magic? 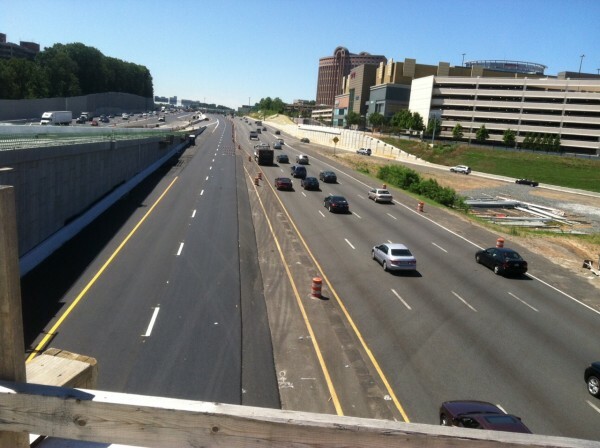 (Washington, D.C. — WAMU) As the opening of the Interstate 495 Express Lanes on northern Virginia’s Capital Beltway draws closer, backers of the $2 billion project say they cannot guarantee the four new HOT lanes will achieve the goal of reducing traffic congestion while simultaneously returning a profit for their private sector operator. The admission is noteworthy because there was enormous investment made by a private entity. The tolls revenues that are supposed to supply its profit are off limits to the state of Virginia for the next seven decades. The HOT (high occupancy toll) lanes will run next to the Beltway’s non-toll lanes between the Dulles Toll Road and I-95 in Springfield, Va., one of the most heavily traveled corridors in the Washington, D.C. metropolitan region. The project is the result of a public-private partnership between the state of Virginia and Fluor-Transurban, a company that has built similar facilities in the United States and abroad. In the deal, the state received four new lanes of traffic capacity, a repaving of the Beltway, and a fully electronic toll facility for individual commuters and HOV-3 carpoolers. Transurban gets the toll revenues for the next 75 years, but company officials say they may not turn a profit at all.